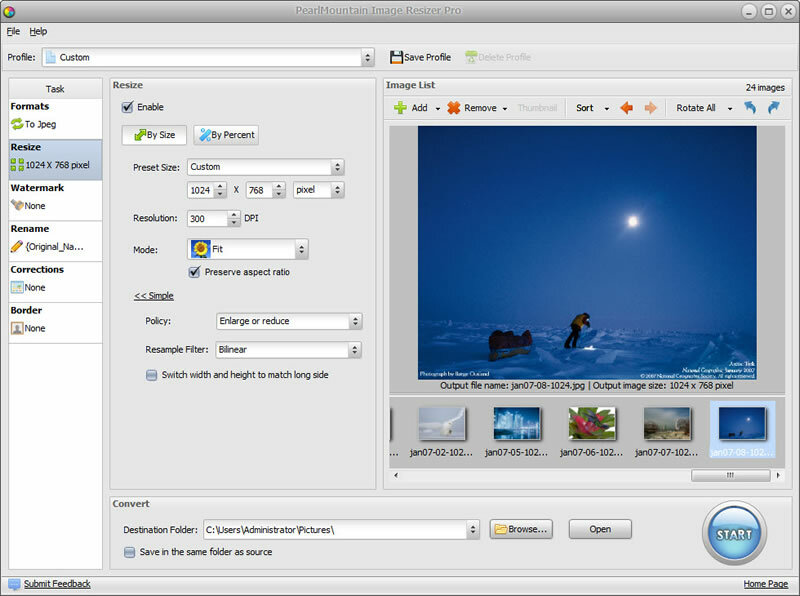 AnyPic Image Resizer Pro allows you to resize, convert, add watermark to hundreds of images in batch mode. It supports the most popular image formats: JPEG, BMP, TIFF, PNG, PSD, GIF, TGA, RAW, and almost all image formats. It\'s a fast and easy-to-use image conversion tool for both amateur and professional photographers to deal with digital photos, with one click your digial photos will be just right for the Web, blog, e-mail, photo printing..etc. The perfect introduction! MAGIX Photo Manager 2006 makes it easy for you to: archive, optimize and present photos in one easy-to-use program - your personal manager! 4Videosoft All Music Converter for Mac is the professional Mac Music Converter which can convert between all music formats including AAC, AC3, AIFF, AMR, AU, FLAC, MP3, M4A, MP2, OGG, WAV, WMA.